This is a quick tip, but a nice one. Thanks to my colleague, Jessica Daniels, for showing me. 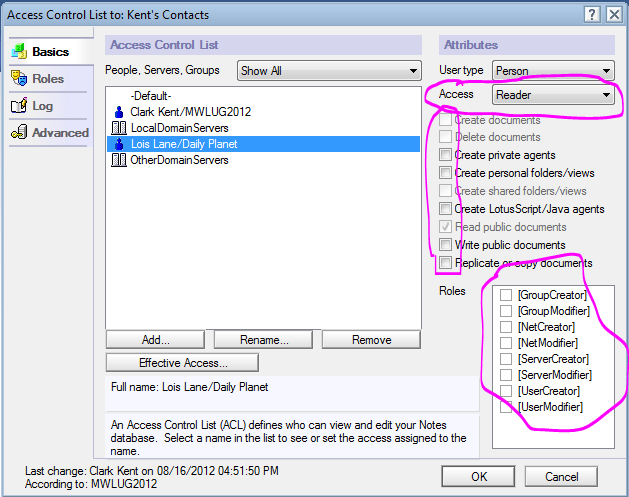 This entry was posted in Lotus, Lotus Domino, Lotus Notes, Show-n-Tell Thursday on September 8, 2012 by raybilyk. Lotusphere is dead… Long Live Connect! This entry was posted in IBM, Lotus, Lotus Domino, Lotus Notes, Lotusphere on August 24, 2012 by raybilyk. This is an outstanding idea, and a great cause! Have you ever had a question on any of these topics, but didn’t know where to ask? NOW YOU DO! Paul Mooney (@pmooneynet), some of his super smart and talented friends, and the fine folks at Teamstudio are getting together to get you the answers you need (and hopefully make a few bucks for MacMillan Cancer Support). This entry was posted in Lotus, Lotus Domino, Lotus Notes, Twitter on July 4, 2012 by raybilyk.